In a report published Friday, Bloomberg revealed the role played by Sardes, a Turkish gold broker with just $1 million in assets, which sprang into existence shortly after Maduro visited Recep Tayyip Erdogan. Founded in January 2018, Sardes quickly saw the volume of gold it was handling explode. Shortly after it opened for business, Sardes imported $41 million of Venezuelan gold - the first such transaction involving Turkey and Venezuela in more than 50 years. The following month, it imported $100 million more. By the time President Trump signed an order approving sanctions on the Venezuelan gold trade in November, Sardes had imported a total of $900 million of gold from the vaults of the failing socialist nation's central bank. That amounts to about 24 tons of gold. 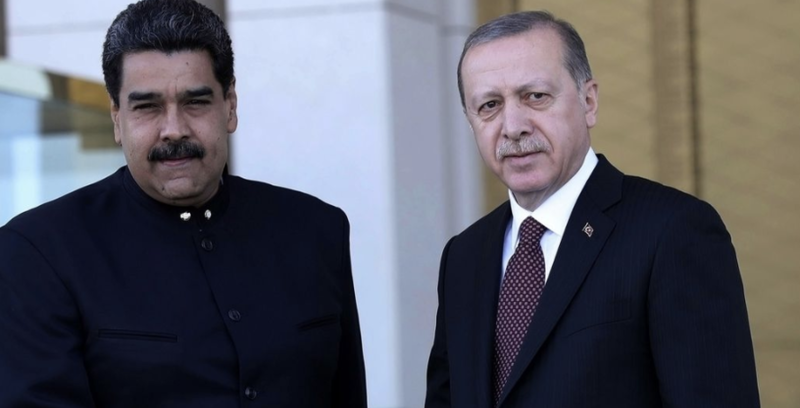 ...Because aside from a general resistance to US meddling in the foreign affairs of other countries (likely rooted in the US's support for the Kurds), it's not exactly clear what Erdogan has to gain by aiding Maduro. Venezuela doesn't even rank among the top 20 trading partners for Turkey (whose economy is reliant on foreign capital and is also a net energy importer). ...Which resembles, in some ways, the same gold payment schemes that Turkey uses to pay Iran for its imports of Iranian oil. But maybe - just maybe - if the US agrees to deport Fethullah Gulen, Erdogan might reconsider the terms of his relationship with Maduro.